Following the last year’s success! 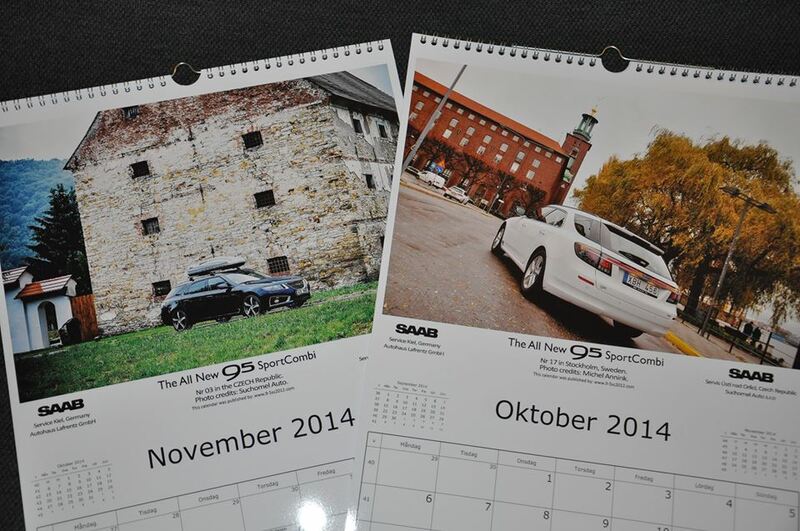 The All New Calendar for 2015 will soon be available. Price is 149KR SEK + shipping 48KR SEK Sweden, 80KR SEK E.U, 92KR U.S.A. Payment via Paypal. If you are interested e-mail: info@9-5sc2012.com with your name and address. All calendars will be shipped in the beginning of December. This Facebook page and the website www.9-5sc2012.com is all non-profit. Any commercial made for Saab dealers are pure goodwill. The first year payment this domain name and hosting was made by me admin, second year was made by Autohaus Lafrentz, thanks! If there are any funds left on the 2015 calendar they will go for next years domain and hosting cost, thank you! ← #21 with new licence plates.